New research has shown for the first time that a social robot can deliver a ‘helpful’ and ‘enjoyable’ motivational interview (MI) – a counselling technique designed to support behaviour change. Many participants in the University of Plymouth study praised the ‘non-judgemental’ nature of the humanoid NAO robot as it delivered its session – with one even saying they preferred it to a human. 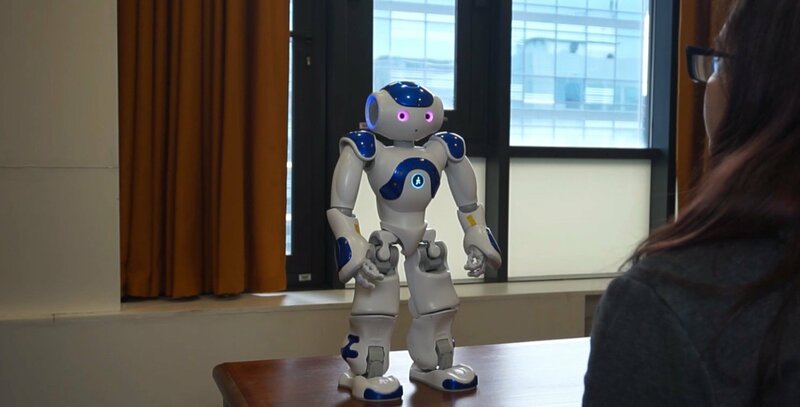 The full paper, entitled Experiences of a motivational interview delivered by NAO robot is now available to view in the Journal of Medical Internet Research.